You cannot go without me! Maahi has lost her way. The tired, desperate young soul who remembers nothing except dying next to sea waves and a strange golden-haired man. Veeru is a young, happy-go-lucky entrepreneur who creates www.marryAghost.com, and gets pulled into an adventure when Maahi registers as the first ‘ghost’. Asmita Burman is an old, half-blind professor who finds Maahi inexplicably, can hear and see ghosts, and knows way too much about them. And then there’s D’Mello, a five-hundred-year-old ghost of a Portuguese nobleman also searching for Maahi, mysteriously appearing and disappearing. Who will help Maahi get freedom by finding her golden-haired beloved in fourteen days before she gets trapped on earth, maybe forever? Join the age-old battle between good and evil – a race between time, freedom and love that will eventually put the entire world in danger. Abhimanyu Jha (www.abhimanyujha.com) is the writer of a recent bestselling novella ‘A Dilli-Mumbai Love Story, a romantic thriller set against the backdrop of 2008 Financial Crisis and Mumbai Terror attacks. 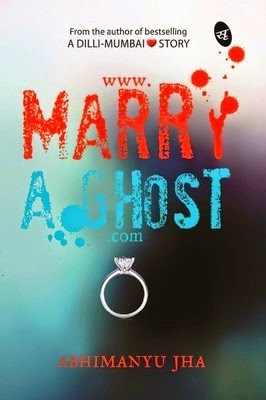 His second novel www.marryAghost.com (MarryAGhost.com Site), a romantic ghost thriller will be out in July 2014. Abhimanyu is also an edu/techpreneur and one of the co-founders and Chief Marketing Officer (CMO) of the company TalentBridge Technologies (www.talentbridge.co.in). His writing on personality development and recruitment skills can be found on the website iLearningOn.com (www.ilearningon.com) along with multiple online applications - that he had a significant role in designing - to help people test themselves on those skills to know where they stand and then practice to make themselves better. His company has also developed a number of cloud based applications (the iHiring platform) to help recruiters assess job applicants in 8 different ways and hire online at the click of just a few buttons (www.ihiringonline.com). I applied for this review as the title intrigued me and so did the blurb. It excited me, piqued my curiosity as it made me wonder what possibly could a site like that lead to. And well I was in for a huge surprise. I began half expecting a horror book ( something I really don’t enjoy much) but ending up having a well written book with liberal doses of love, friendship, relationships and all those beautiful things that warm up your heart. The best thing about the book is the way the author has held onto to the characters and ensured the reader does the same too. It is a very well narrated tale and it leaves you with the feeling of having devoured a nice read. The story begins with the birth of this site www.marryaghost.com which is born through a random discussion between two friends and takes us to witness how it changes their lives to an extent that the reality and the dream begin to merge making one wonder where is one. The only minus – well this is the first book is what can be easily called a series and that is somewhere not mentioned, either in the blurb or in the adverts misleading a reader into believing this is one complete book and yes that does feel a tad disappointing in the end as the wait for the second part just got a little longer. Over all a nice enjoyable read for a light breezy afternoon and some amazing moments that will make you smile long after you are done with the book. 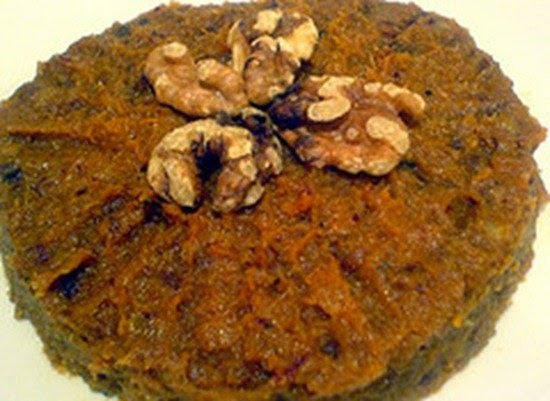 This book is like khajoor ka halwa - unique,different, sweet and one that melts in your mouth.